If you’re looking for a grab hire in Birmingham then ND Brown have got you covered. Birmingham is one of the hot spots for large scale projects at the moment with Construction Global announcing £10 billion worth of developments happening right across the West Midlands including the UK’s major High Speed Two rail project. The recent Autumn budget from the Government also announced extra funding for house building. You don’t require a local council permit with our grab hire in Birmingham but you would if you hired a skip. Dependant on the size of project, it usually takes just one day to finish the job required with a grab hire. If you are working on a residential project, skips can also block your driveway for days whereas our grab hire will be in and out within a matter of hours. A grab hire will also take some of the manual labour out of the job as the grabber will do the heavy lifting of materials so you don’t have to. When it comes to ordering your grab hire in Birmingham ND Brown have three sizes of vehicle that will be suitable for any size construction project. We have vehicles that range from 7.5 tonnes, 26 tonnes right up to 32 tonnes, with each vehicle fitted with fixed size heavy duty bodies of the highest quality and finest condition ready to hire. 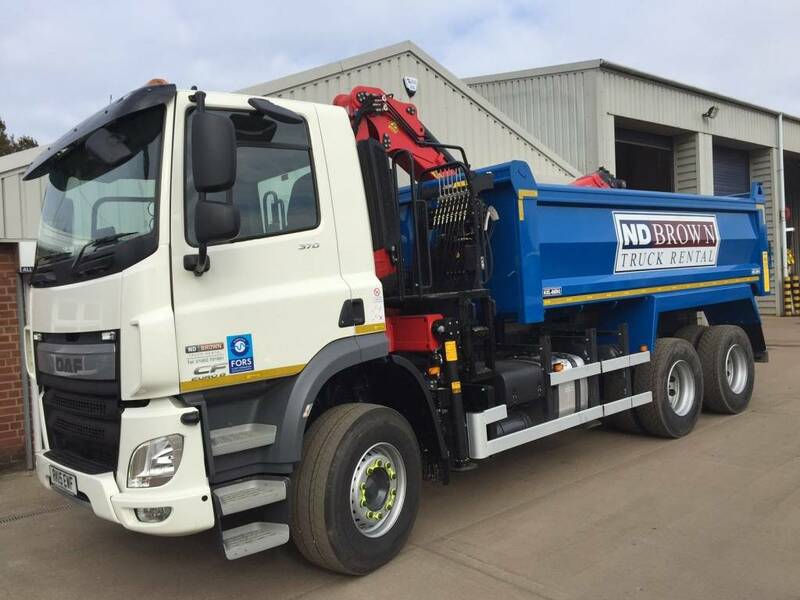 Here at ND Brown we bring over 30 years of expertise in truck rental and sales, supplying vehicles for the utility, civil engineering, municipal and highway maintenance sectors. Offering both short term and long term solutions for grab hire in Birmingham, you can phone our team at our Wolverhampton office today on 01902791991 or fill in our Booking Request form and we will be in touch.